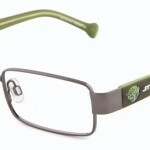 Look away now if zombie killing makes you queasy. 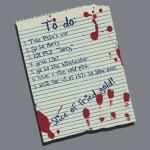 These Shaun of the Dead t-shirts have quite a bit of red on them. I had to work a little harder (all the way to the *second* page of Google) to find these gems. First to the bloodbath is the designer Cedd1 with a dramatic red t-shirt. 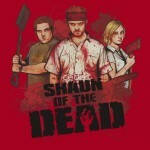 This shirt features the Shaun of the Dead crew ripped and ready for the apocalypse. It’s like the geek version of The Expendables with all the macho blood splatter. This shirt is the most expensive at £20.57, but artwork as incredible as this makes knock-off quote shirts seem pretty tame. 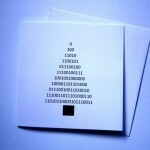 The exception would be the design by Gleekgirl. 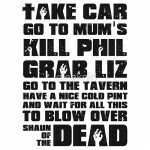 This t-shirt sports the funniest quote and possibly the best summary of the film, “Take car to mum’s, kill Phil, grab Liz, go to the tavern, have a nice cold pint and wait for all this to blow over”. The great thing about this quote is that it is so visual, pinpointing a specific montage from the film. Alternatively, MightyRain takes this quote a step further with a notepaper list design, but Gleekgirl’s choice of typeface with zombie hands crawling out of the text is a timeless homage. If you like this, Gleekgirl has a second quote design in her portfolio. 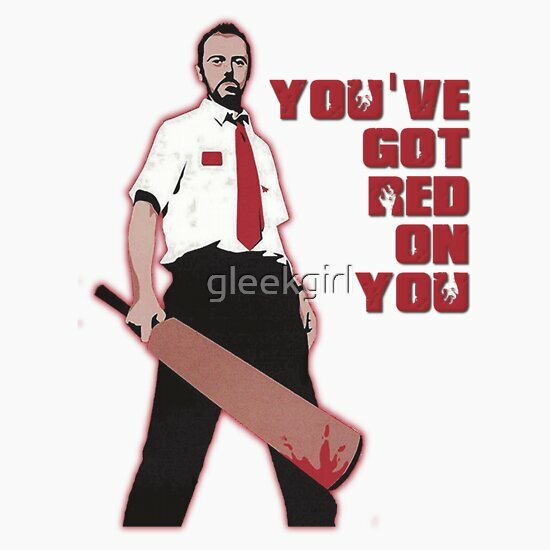 This t-shirt stars Shaun himself in bloodied office uniform (plus baseball bat and menacing stare) along with giant, red type stating, “You’ve got red on you”. It’s a classic. 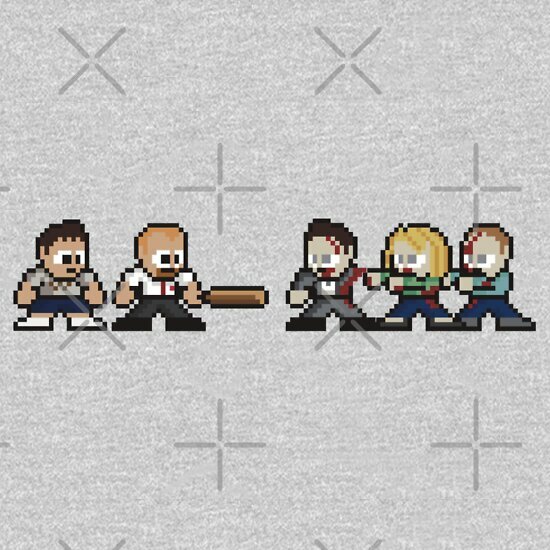 If you want something with extra geek factor, TheRandomFactor has created a t-shirt with pixellated Shaun of the Dead characters. Tiny computer-game versions of Shaun and Danny fend off zombies with a baseball bat. I don’t know about you, but every iconic scene becomes so much better once transposed into Gameboy or Legoland. These t-shirts are £15 – £20. Not only are you saluting a great cult film, you’d be supporting some original graphic artists and wearing one of a kind clothing. Check out Redbubble for more. 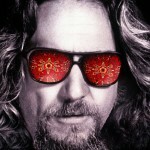 *Metaphorically, you understand. Rest assured I do not find blood mouth-watering.